Cross some names off your list with one-of-a-kind gifts and homemade treats from local makers. We gathered up 7 must-see holiday markets in Kingston to help you get a head-start on your holiday shopping and into the festive season! Shop an incredible collection of locally handmade tea towels, tapestries, pillows, blankets, scarves, mittens and more! Perfect gifts to keep cozy as the weather gets chillier. The guild is proud to celebrate 70 years of spinning and weaving in 2018. This market is perfect for anyone looking for custom mugs, bowls, vases, and sculptures. Established in 1967, Kingston Potters’ Guild is one of the oldest pottery guilds in the province of Ontario – you’ll be sure to find a perfect piece and cross some names off your list! Do you have a rock, gem, and silver lover in your life? If you do, this market is a must-visit! Lapidary is the cutting, polishing, engraving, and setting of stones – you’ll find beautiful custom pieces of jewelry and gorgeous gems at this one-of-a-kind market. #Lapidary #Minerals #metalrocks! Show and Sale continues today at the Tett. With the Kingston Lapidary and Mineral Club. Set in the beautiful Grant Hall at Queen’s University, this market is for anyone craving a collectively-run, community-oriented Christmas fair. This year, the market will be celebrating their 10th anniversary and over 50 local makers will be showcasing their wares. Running on weekends until December 22nd, 2018 – this market is perfect for last minute Christmas shopping featuring local, independent artists and artisans. You’ll find everything from oil paintings and candles to jewelry and clothing. 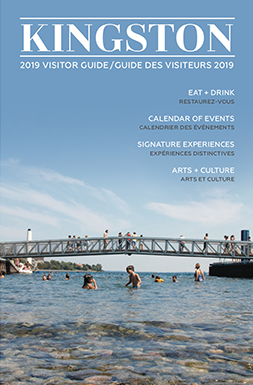 Brought to you by the same organization that brings us Summer Artfest in City Park, this market features over 125 artists, craftspeople and makers from across Canada. This new market also includes live music, Santa’s workshop, and Elf Stations for kids! The historic Hochelaga Inn turns into a Christmas fairy tale the whole family will enjoy. Inspired by European outdoor markets, the event features local makers, live entertainment, food, drink, lights, carol singing and, of course, an appearance by Santa. Looking for more things to do this winter? 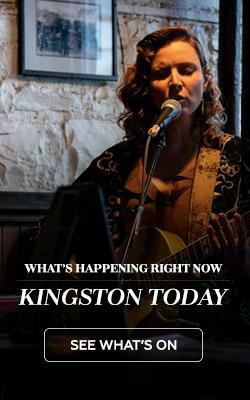 Check out what’s on this winter in Kingston.